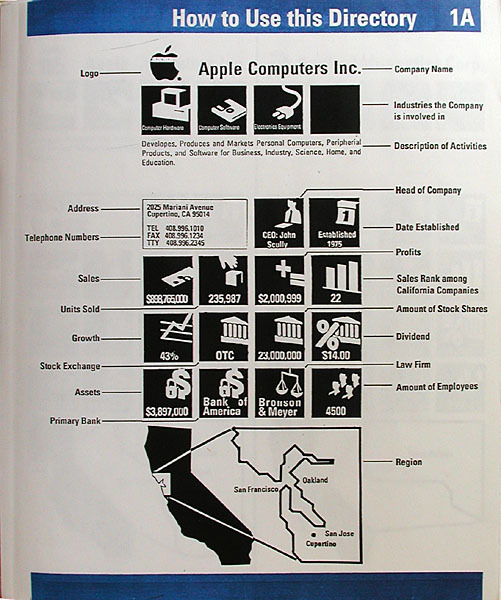 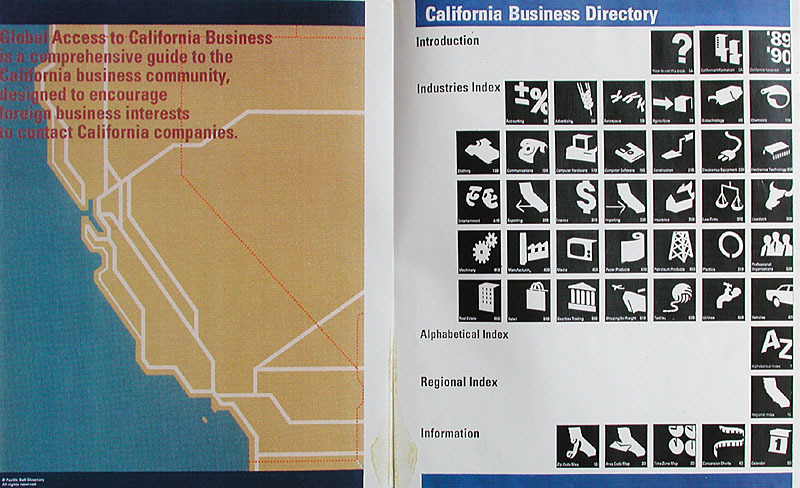 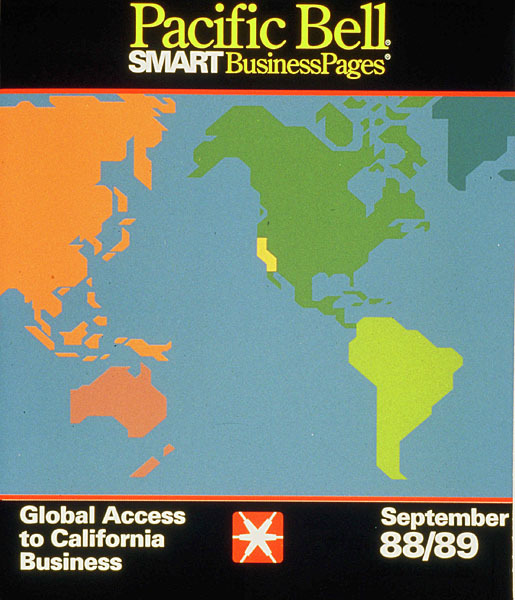 This was to be a business directory to state (in this case, California) businesses for distribution to overseas and out-of-state industry. 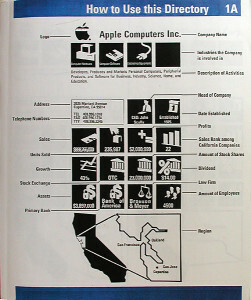 It described the state’s largest companies with information about each. 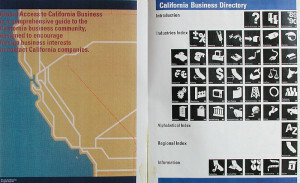 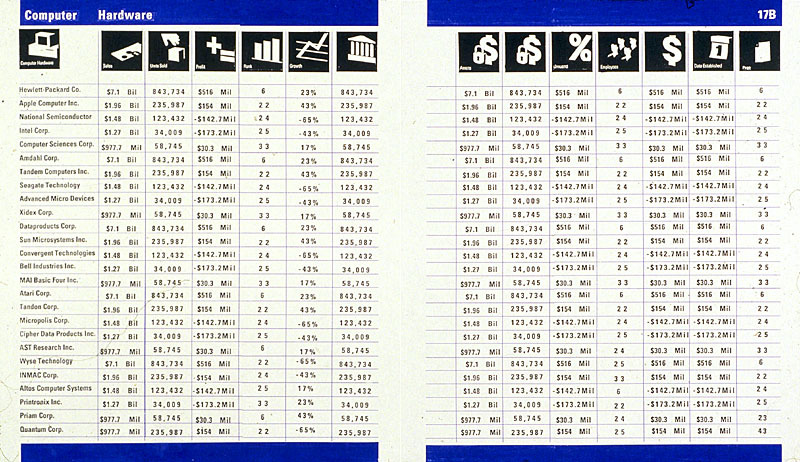 The system was iconographic so that even if businesspeople spoke little or no English, they could use most of the information. 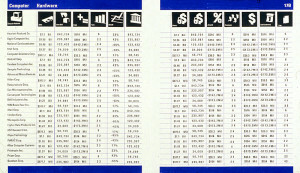 The icons were designed by Joachim Muller-Lancé.